S&P Downgrades U.S. Credit Rating : The Two-Way Citing political risks and a rising debt burden, Standard & Poor's lowered the U.S. AAA credit rating by one notch to AA-plus. This is the first time in history that the United States has had its credit rating lowered. The agency said the deficit plan passed by Congress did not go far enough to stabilize the country. Nearly five hours after the markets closed on Friday, Standard & Poor's downgraded the U.S. credit rating because of political risks and a rising debt burden. Standard & Poor's announced that it had lowered the United States' long-term credit rating to AA-plus. The ratings agency cited political risks and a rising debt burden for its decision. "The downgrade reflects our opinion that the fiscal consolidation plan that Congress and the Administration recently agreed to falls short of what, in our view, would be necessary to stabilize the government's medium-term debt dynamics," the agency said in a press release. This is the first time in history that United States has had its credit rating lowered. "More broadly, the downgrade reflects our view that the effectiveness, stability, and predictability of American policymaking and political institutions have weakened at a time of ongoing fiscal and economic challenges to a degree more than we envisioned when we assigned a negative outlook to the rating on April 18, 2011," the statement continues. The agency also said it "pessimistic" that the debt deal reached between Democrats and Republicans would lead to a "broader fiscal consolidation plan." And that if the reduction in spending agreed to in the deal doesn't come to fruition, they would cut the rating further in the next two years. President Obama's administration called the decision "flawed." Both The New York Times and The Wall Street Journal reported that early Friday morning, S&P had approached the Treasury with news of the downgrade and the Treasury pointed to a $2 trillion error in the rating agency's debt projection. NPR's Ari Shapiro reports that a source familiar with the situation said after learning of the error, the agency changed its rationale for a downgrade from an economic explanation to a primarily political one. "Their analysis was way off, but they wouldn't budge," an administration official told CNN. A Treasury official was widely quoted as saying, "A judgment flawed by a $2 trillion error speaks for itself." S&P initially told NPR's Tamara Keith that it would have no comment on the error, then later released a statement saying it revised its numbers but still would not change the rating. NPR's Marilyn Geewax said during our live coverage that the downgrade is uncharted territory, so what it means is unclear. What is clear is that this is bad news. What business doesn't like is uncertainty, she said, and "this is a whole lot of uncertainty." The fear is that like a negative credit rating would affect interest rates for your credit cards, a cut in rating could affect the interest rate that the United States pays on its debt. "It opens the possibility to higher interest rates," said Geewax. Geewax notes that in its statement the S&P echoed what she has been hearing from business leaders: that one of the big problems with the United States economy is the "paralysis in Washington." The details — of whether a debt ceiling plan included revenues or just cuts — were not as significant as the concern that Washington would do nothing. Now, Geewax said, the Obama administration has to assure the markets and probably move on a big, broad plan to reduce debt over time. The best case scenario for Monday, she added, is that the markets take the news in stride, saying that they knew this was coming. The markets have, after all, had a rough go at it during the past week. Standard & Poor's released a statement saying it had revised its numbers on discretionary spending growth, but said that the change would not affect the AA-plus rating. Please visit our friends It's All Politics and Planet Money who have political and economic analysis of the downgrade. We live blogged as the news broke, so we've written through the top of this post and below you'll find the updates as they happened. Senate Majority Leader Harry Reid took that opportunity to say the S&P is pointing out what his party fought for during the debt ceiling negotiations. He told The Wall Street Journal that the S&P downgrade makes the case for a "balanced approach to deficit reduction." Republican presidential candidate Mitt Romney also issued a statement. "America's creditworthiness just became the latest casualty in President Obama's failed record of leadership on the economy," he said. "Standard & Poor's rating downgrade is a deeply troubling indicator of our country's decline under President Obama." "A judgment flawed by a $2 trillion error speaks for itself." CNN also quotes another administration official saying the move was a "facts-be-damned decision." "Their analysis was way off, but they wouldn't budge," the official told CNN. S&P told NPR's Tamara Keith that it would have no comment on the administration's claim that their initial assessment included a $2 trillion math error. For risk-based capital purposes, the risk weights for Treasury securities and other securities issued or guaranteed by the U.S. government, government agencies, and government-sponsored entities will not change. The treatment of Treasury securities and other securities issued or guaranteed by the U.S. government, government agencies, and government-sponsored entities under other federal banking agency regulations, including, for example, the Federal Reserve Board's Regulation W, will also be unaffected. In layman terms it is saying that the risk on U.S. bonds remains unchanged, despite the downgrade. After the debt ceiling deal was reached, Both Fitch Ratings and Moody's Investor Service said the move was bold enough to merit a top-notch rating for the country. That, reports The New York Times, could soften the blow of S&P's downgrade. "The split verdict limits the impact of the S& P downgrade as many consequences would be set off only by a reduction by two agencies," the Times reports. It's also worth noting a piece from Planet Money's Jacob Goldstein. Essentially, he wrote, a downgrade may not be a big deal for three reasons: 1) The vast majority of U.S. debt is held by big institutions and they do their own research on risk. 2) Most financial institutions treat AAA as AA. 3) "When other countries were downgraded from AAA to AA, the effect was minimal in most cases,"
But, Jacob warns, this is unprecedented so the effect is unpredictable and may not just affect the bond markets but may spook the stock markets. The S&P has posted its full statement on its website. 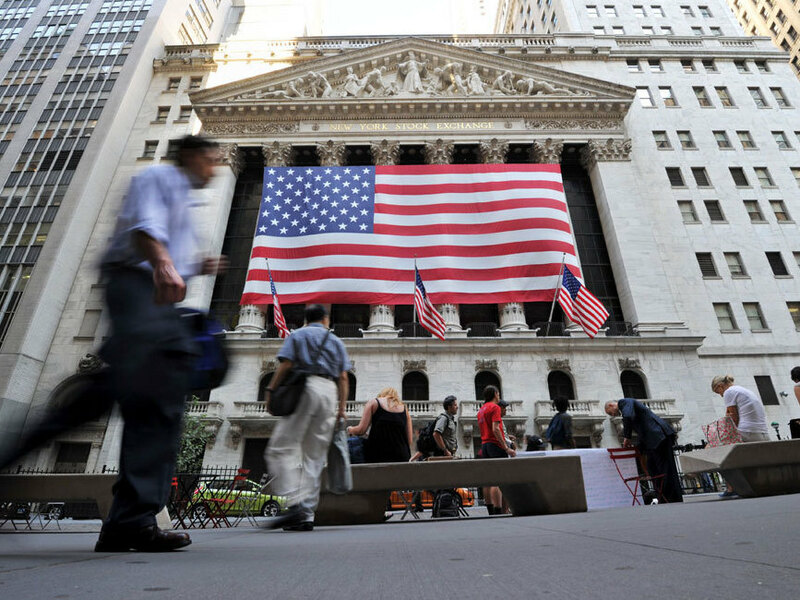 S&P removed for the first time the triple-A rating the U.S. has held for 70 years, saying the budget deal recently brokered in Washington didn't do enough to address the gloomy long-term picture for America's finances. It downgraded U.S. debt to AA+, a score that ranks below Liechtenstein and on par with Belgium and New Zealand. The unprecedented move came after several hours of high-stakes drama. It began in the morning, when word leaked that a downgrade was imminent and stocks tumbled sharply. Around 1:30 p.m., S&P officials notified the Treasury Department they planned to downgrade U.S. debt, and presented the government with their findings. But Treasury officials noticed a $2 trillion error in S&P's math that delayed an announcement for several hours. S&P officials decided to move ahead anyway, and after 8 p.m. they made their downgrade official.